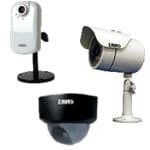 The Zavio CamGraba surveillance NVR software is designed especially for Zavio IP cameras. CamGraba allows users to view and manage up to 32 Zavio IP cameras simultaneously. Users are able to remotely playback recorded video and audio data with the included playback system desktop application. The instructions below explain how to playback the recorded video and audio data of the Zavio CamGraba surveillance NVR software remotely. 1. First, make sure that the correct ports are forwarded in the router attached to the Zavio CamGraba PC. Then enable the correct network settings within the CamGraba main console. If you haven't done this yet, please visit our CamGraba Network Setup article. 8. Once the video appears, click the Play button to start.